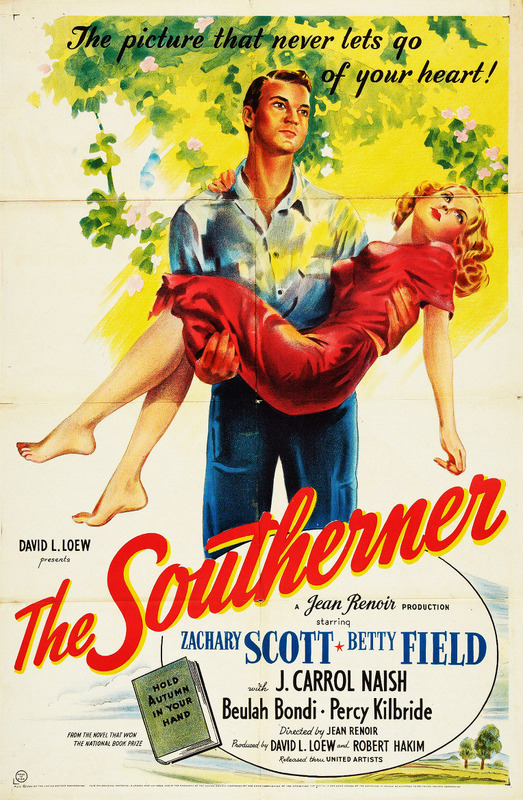 Sam Tucker (Zachary Scott) is working as a cotton picker when he decides that he wants to make a better future for his family by buying up a bit of land and growing his own crop. Sam, his wife Nona (Betty Field), their two children and Granny Tucker (Beulah Bondi) pack up the jalopy and head to their new home. Upon arrival they find a run-down cabin and a hard winter ahead of them, but with determination they push through the struggles of bad weather, disease and a mean, disgruntled neighbor as they try to make it as farmers. 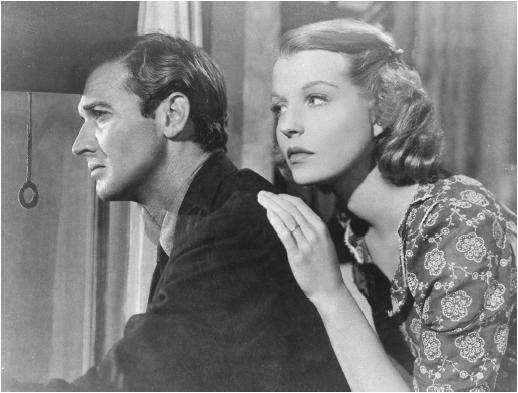 Jean Renoir directs 1945’s The Southerner, based on George Sessions Perry’s novel “Hold Autumn in Your Hand.” It was adapted for the screen by Hugo Butler with uncredited help from the director, William Faulkner and Nunnally Johnson. There are so many good things about this film. The characters are quite typical of films about farmers, but they’re all very endearing, from the disgruntled grandmother to the hard-working father to the cute but mildly obnoxious kids. The entire cast gives very good performances and are believable in their roles, so it’s easy to root for them. Beulah Bondi is a stand-out support as Granny and she offers some comic relief, which is good because it saves the film from being bogged down with a too-sad mood. It’s a bit of a slow-mover, but since the cast does such a great job of drawing the viewer in and making them care about the family, the pace isn’t a problem. The film does not try to glamorize the life of sharecroppers in the least, so The Southerner is definitely not one to watch if you’re in the mood for an upbeat film. The problems are the film’s focus, and as the plot carries on new issues keep popping up for the family throughout the entire duration. The viewer is taken on a roller coaster of successes and failures. Every time something goes right, five other things go wrong. It’s a bit Grapes of Wrath-like in this sense, which comes as no surprise with Nunnally Johnson contributing to the script. Still, it isn’t all depressive either. Throughout the entire film there is a constant underlying sense of hope, even in the saddest moments. The lows of the roller coaster bring moments of high drama, while the highs bring back a strong sense of optimism. This optimism is carried through to the end and wraps the story up in a sentimental but lovely way. Not everything ends on a happy note, but the viewer is still left believing that a brighter future exists for the family. You’re very welcome! Glad to hear you’re enjoying it!